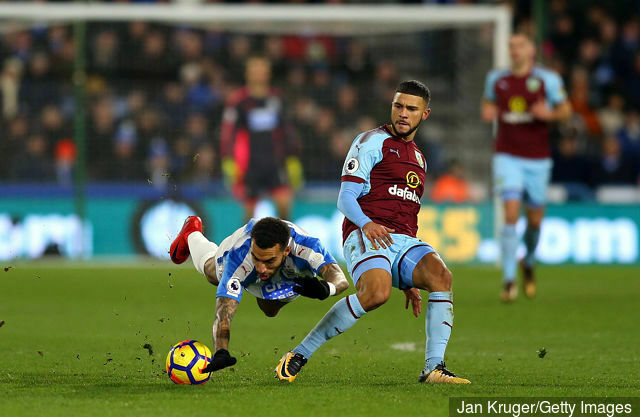 According to a report from the Daily Mail's live transfer blog, West Brom have considered a potential move for Burnley striker Nahki Wells this summer as they prepare for life in the Championship. West Brom have already lost one previously key player this summer with Jonny Evans leaving for Leicester City, and the fans will surely be expecting a few more to move on before the campaign begins. The Mail reports that West Brom are interested in Wells as they look to bolster their striker options as they continue to struggle to agree a deal with Bristol City forward Bobby Reid, who the Robins want £10 million for this summer. Wells endured an extremely frustrating year at Turf Moor following his £5 million move from Huddersfield Town last summer - fee reported by BBC Sport. The 28-year-old did not start a single game for Sean Dyche's men, with Whoscored.com reporting that he spent just 46 minutes on the pitch in the Premier League. Burnley paid a decent amount of money for Wells, so it perhaps seems unlikely that they would be happy to let the forward go on the cheap. But given that he was used so sparingly over the last year and does boast a decent record in the Championship, it is little surprise that West Brom have considered him as a potential alternative option should the Reid talks lead to nothing.